The Gateway region is full of natural beauty, American Revolutionary history, world class golf courses, and minutes to the excitement of New York City. Discover the jagged cliffs of the Palisades looming 530 feet above the Hudson River. Enjoy the Great Falls of Paterson, where the roar of the water plunging 70 feet into its stone chasm can be heard several city blocks away. If it is history you seek, hop on a ferry at Liberty State Park to Ellis Island and search for your ancestors on the passenger lists or visit the Statue of Liberty, America's symbol of freedom and democracy. Discover a pre-Revolution house that's now the home of Indian artifacts and colonial toys. During the Revolution, Washington's troops marched through the Gateway area, and you can follow their footsteps down the road to independence as you wander through towns filled with museums. Visit Thomas A. Edison's home and laboratories, where you will see some of his greatest inventions. Stop by a museum solely dedicated to the history of flight. You'll find theater, dance and the best in classical music at our state theater, the Paper Mill Playhouse. The Meadowlands area offers something for all ages, stargazing, nature walks, concerts, not to mention, NFL sporting events and horse racing. Just over one of the bridges or through a tunnel you are in the heart of NYC where you will find amazing restaurants, world class shopping, and Broadway plays. 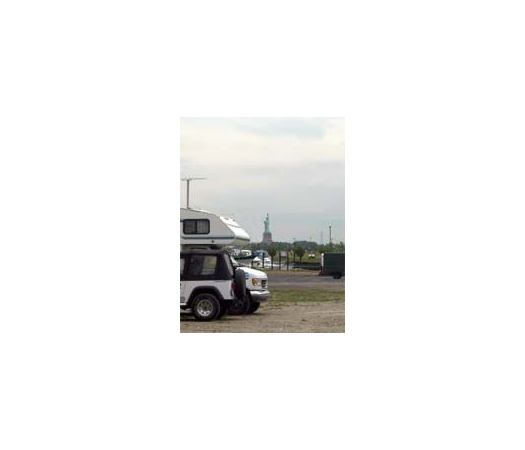 If arriving from overseas, the Gateway Region is minutes from New York City and Newark Liberty International Airport, which makes it the perfect location to start your RV tour of America.